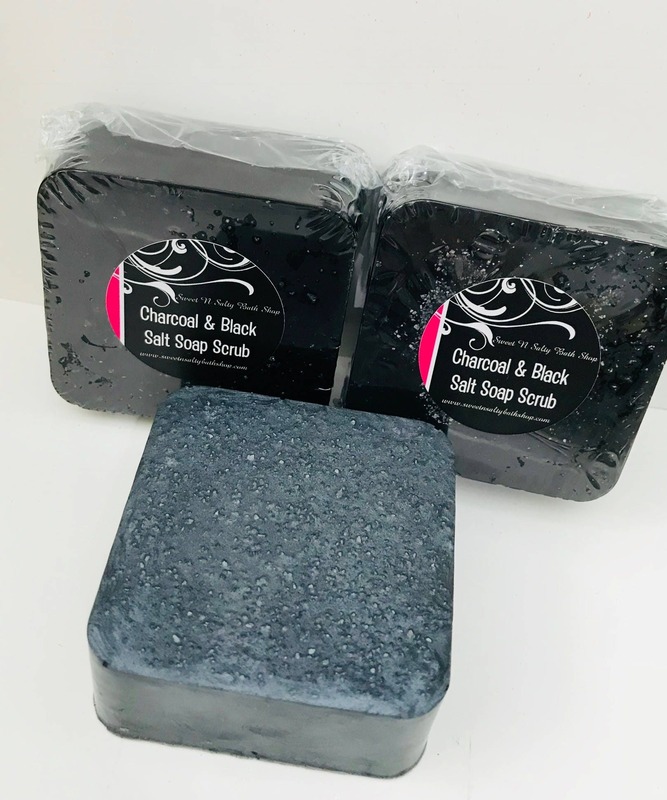 This Charcoal Black Salt Soap contains highly moisturizing Shea Butter and Coconut Oil that are skin nourishing and contain antioxidants that are vital in maintaining healthy skin. 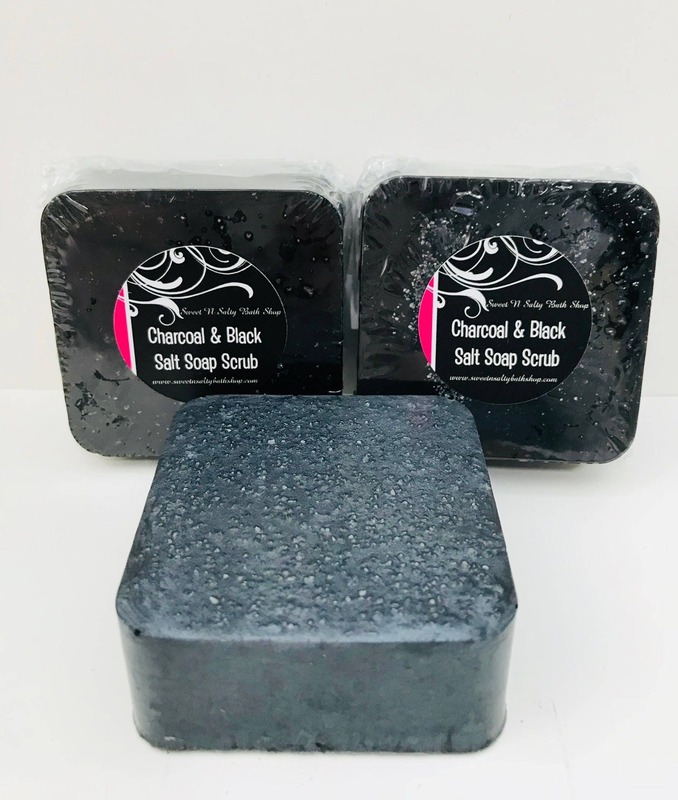 Activated Charcoal / Coconut Carbon is widely used in cosmetics and soap because it works like a magnet to attract toxins, drawing impurities like dirt and oil from the pores and said to tighten pores, smooth skin and reduce inflammation. 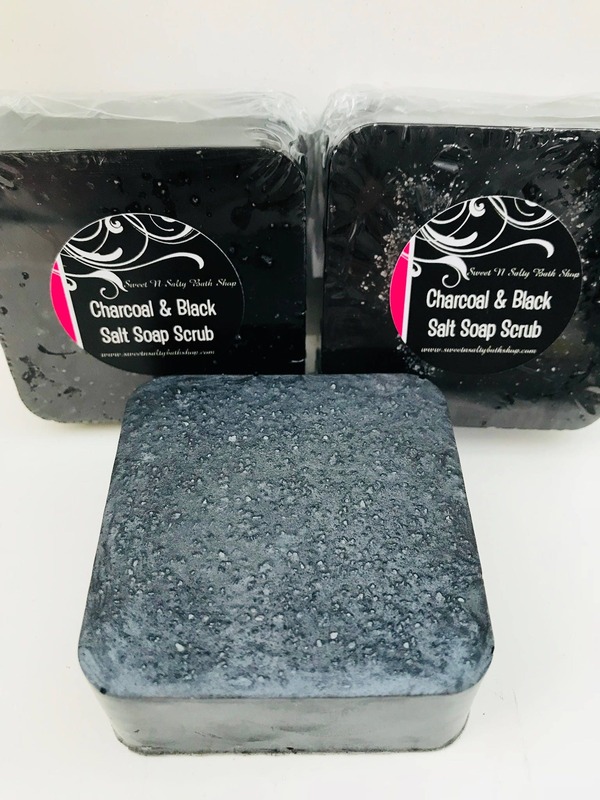 Black salt gently exfoliates to remove dead skin cells leaving soft, smooth, and radiant skin. This listing is for one 3.5 oz. 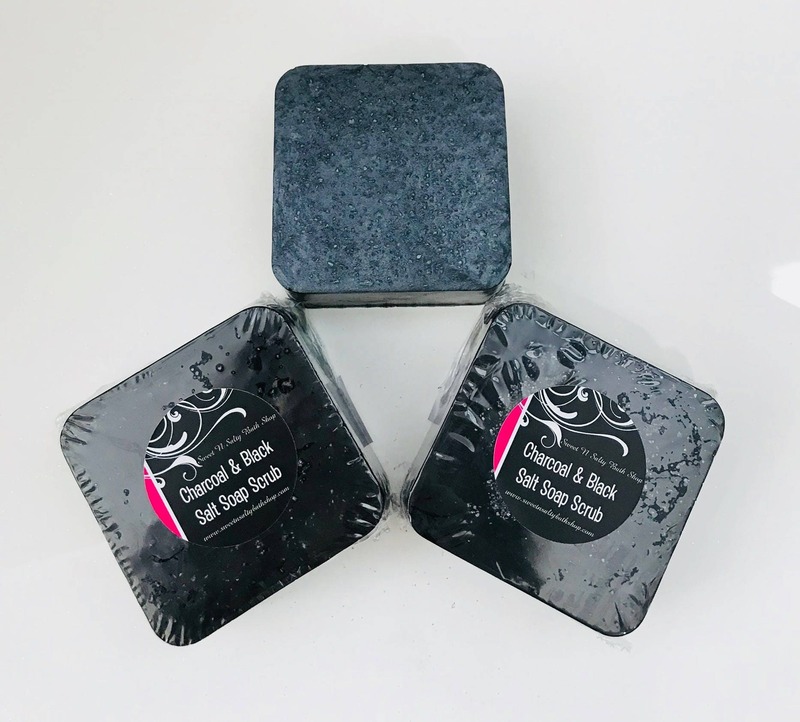 bar of soap that has a very fresh and uplifting scent of Kaffir lime and lemon zest combined with the fresh, green aroma of oakmoss and black currant. Also available unscented. Ingredients: Water, Glycerin, Sorbitol, Sodium Stearate, Sodium Laurate, Sodium Oleate, Shea Butter, Activated Charcoal Powder, Sodium Cocoate, Black Sea Salt, Sodium Palm Kernelate, Sodium Chloride, Sodium Citrate, Citric Acid, Fragrance Oil. Visit and like us on Facebook and Instagram for new products, coupon codes, giveaways and more!